There are 1 cat videos tagged with lightsaber. 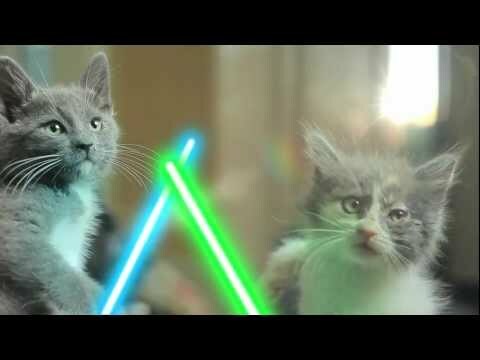 These adorable Jedi kittens were lucky enough to be adopted by a hilarious owner. They were rescued from a shelter where they nearly died from eye infections but are doing great now!